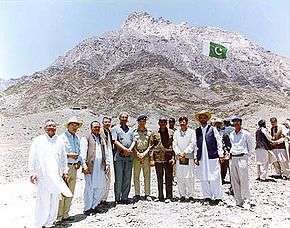 Abdul Qadeer Khan, (fifth left in grey suit, right of army officer), c. 1998. Abdul Qadeer Khan,[note 1] NI, HI, FPAS i/ˌɑːbˈdʊl kɑːdɪər kɑːn/ (Urdu: ڈاکٹر عبد القدیر خان‎; born 1 April 1936), known as A. Q. Khan, is a Pakistani nuclear physicist and a metallurgical engineer, who founded the uranium enrichment program for Pakistan's atomic bomb project. Khan founded and established the Kahuta Research Laboratories (KRL) in 1976, serving as both its senior scientist and Director-General until he retired in 2001. Khan was also a figure in other Pakistani national science projects, making research contributions to molecular morphology, the physics of martensite alloys, condensed matter physics, and materials physics. In January 2004, the Pakistani government summoned Khan for a debriefing on his active role in nuclear weapons technology proliferation in other countries after the United States provided evidence of it to the Pakistanis. Khan formally admitted his responsibility for these activities a month later. The Pakistani government dismisses allegations that Pakistani authorities sanctioned Khan's activities. After years of official house arrest during and following his debriefing, the Islamabad High Court (IHC) on 6 February 2009 declared Abdul Qadeer Khan to be a free citizen of Pakistan, allowing him free movement inside the country. The verdict was rendered by Chief Justice Sardar Muhammad Aslam. In September 2009, concerned because the decision also ended all security restrictions on Khan, the United States warned that Khan still remained a "serious proliferation risk". Khan was born in 1936 in Bhopal, British India, into an Urdu-speaking family who were originally ethnic Pashtun. His mother, Zulekha (née Begum), was a housewife. His father, Abdul Ghafoor, was an alumnus of Nagpur University and an academic who served in the Indian Education ministry then permanently settled the family in Bhopal State after he retired in 1935. After the partition of India in 1947, his family emigrated from India to Pakistan in 1952, and settled in Karachi, Sindh. Briefly attending the D.J. Science College, he enrolled at Karachi University in 1956 to study physics. In 1960, he graduated with a degree in physics with a minor in mathematics, while his degree concentration was in solid-state physics. For a short time, Khan worked for the city government as an inspector of weights and measures. In 1961, he went to Germany to study metallurgy at the Technical University in Berlin but made a transfer to Delft University of Technology in the Netherlands in 1965. At Delft, he obtained an engineer's degree in technology (equivalent to MS) in 1967 and joined the Catholic University of Leuven for his doctoral studies. Supervised by Dr. Martin Brabers at Leuven University, Khan received a D.Eng. degree in metallurgical engineering in 1972. His doctoral thesis dealt and contained fundamental work on martensite and its extended industrial applications to the field of morphology. Receiving his doctorate engineering in 1972, Khan joined the senior staff of the Physics Dynamics Research Laboratory in Amsterdam from a recommendation by his mentor, Martin J. Brabers. His initial studies were on the high-strength metals used in the development of centrifuges. Gas centrifuges were first conceived by American physicist Jesse Beams as part of the Manhattan Project but the studies were discontinued in 1944. The Physics Laboratory was a subcontractor for Urenco Group which was operating a uranium-enrichment plant in Almelo, Netherlands. Established in 1970, Urenco employed the centrifuge method to assure a supply of enriched uranium for nuclear power plants in the Netherlands. When Urenco offered him to join the senior scientific staff there, Khan left the Physics Laboratory where he performed physics experiments on uranium metallurgy, to produce reactor-grade uranium usable for light water reactors. Urenco used the Zippe-type gas centrifuges— a method invented by German mechanical engineer Gernot Zippe in the Soviet Union's program. Enrichment of uranium is an extremely difficult physical process, as U235 exists in natural uranium at a concentration of only 0.7%; Urenco used the Zippe method to separate the fissile isotopes U235 from non-fissile U238 by spinning UF6 gas at up to ~100,000RPM. His pioneering research led to the improvement of the Zippe method, which at that time, was an emerging technology whose publications were classified by the Soviet Union. Khan's leading-edge research in metallurgy brought laurels to Urenco, which had him as one of the most senior scientists at the facility where he researched and studied. His pioneering research greatly improved the technological efficiency of the Zippe method; eventually, Urenco gave Khan access to the blueprints for the Zippe centrifuge to find mathematical solutions for the physics problems in the gas centrifuges. On 20 January 1972, President Zulfikar Ali Bhutto approved a crash program to develop an atomic bomb after a seminar – the Multan meeting – with scientists at Multan. Reporting directly to Bhutto, the program was managed by Munir Ahmad Khan, the chairman of the Pakistan Atomic Energy Commission (PAEC); the outcomes of the 1971 war had greatly threatened Pakistan's strategic position. Earlier efforts had attempted Implosion-type nuclear weapons using military-grade plutonium. Before 1974 Khan had no knowledge of the program, which calls into question his "father-of" claim. Following India's surprise "Smiling Buddha" in 1974, Bhutto accelerated Pakistan's effort to attain atomic capability. Sensing the importance of the test, Munir Ahmad launched the secretive Project-706. After learning of the nuclear test, Khan wanted to contribute to the military posture. He approached Pakistan government officials, who dissuaded him, saying it was as "hard to find" a job in the PAEC as a "metallurgist". Undaunted, he wrote to Prime Minister Bhutto, highlighting his specific experience, and encouraged him to develop an atomic bomb using military-grade uranium. According to Kuldip Nayyar, although the letter was received by Prime minister Secretariat, Khan was still unknown to the Pakistan government, leading Bhutto to ask the ISI to run a complete background check and prepare an assessment report on him. The ISI assessed him as "incompetent" but Bhutto was unsatisfied and eager to know more about him, eventually asking Munir Ahmad to dispatch a PAEC team to meet him. The PAEC team, including Bashiruddin Mahmood, arrived at the Almelo at his family home at night. After an interview, the team returned to Pakistan and Prime Minister Bhutto decided to meet with Khan, and directed a confidential letter to him. Soon after, Khan took a leave from Urenco, and departed for Pakistan in 1974. In 1974, Abdul Qadeer Khan went to Pakistan and took a taxi straight to the Prime minister Secretariat. The session with Bhutto was held at midnight and remained under extreme secrecy where Qadeer Khan met with Bhutto, Munir Ahmad, and Mubashir Hassan– the Science Adviser. At this session, he enlightened the importance of uranium as opposed to plutonium, but Bhutto remain unconvinced to adopt uranium instead of plutonium for the development of an atomic bomb. Although Bhutto ended the session quickly, remarking: "He seems to make sense." Early morning the next day another session was held where he focused the discussion on HEU against plutonium with other PAEC officials presented. Even though, he explained to Bhutto why he thought the idea of "plutonium" would not work, Qadeer Khan was fascinated by the possibility of atomic bomb. Many of the theorists at that time, including Munir Khan maintained that "plutonium and the fuel cycle has its significance", and insisted that with the "French extraction plant in the offing, Pakistan should stick with its original plan." Bhutto did not disagree, but saw the advantage of mounting a parallel effort toward acquiring HEU fuel. At the last session with Zulfikar Bhutto, Khan also advocated for the development of a fused design to compress the single fission element in the metalised gun-type atomic device, which many of his fellow theorists said would be unlikely to work. In 1975, Khan finally joined the atomic bomb program, and became a member of the enrichment division at PAEC, collaborating with dr. Khalil Qureshi– a physical chemist. Calculations performed by him were valuable contributions to centrifuges and vital link to nuclear weapon research. He continued to push his ideas for uranium methods even though they had a low priority, with most efforts still aimed to produce military-grade plutonium. Because of his interest in uranium, and his frustration at having been passed over for director of the uranium division (the job was instead given to Bashiruddin Mahmood), Khan refused to engage in further calculations and caused tensions with other researchers. He became highly unsatisfied and bored with the research led by Mahmood; finally, he submitted a critical report to Bhutto, in which he explained that the "enrichment program" was nowhere near success. Prime Minister Bhutto sensed great danger as the scientists were split between military-grade uranium and plutonium. Therefore, he called Khan for a meeting and with the backing of Bhutto, Khan took over the enrichment division from Bashiruddin Mahmood at PAEC; thus separating it into founding the Engineering Research Laboratories (ERL). Wanting no PAEC involvement, Khan's request to work with the Corps of Engineers was granted by the Pakistan government in 1976. The Engineer-in-Chief directed Brigadier Zahid Ali Akbar of Corps of Engineers to work with Qadeer Khan in ERL. The Corps of Engineers and Brigadier Akbar quickly acquired the lands of the village of Kahuta for the project. The military realised the dangers of atomic experiments being performed in populated areas and thus remote Kahuta was considered an ideal location for research. Bhutto would subsequently promote Brigadier Zahid Akbar to Major-General and handed over the directorship of the ERL, with Qadeer Khan being its senior scientist. On the other hand, the PAEC did not forgo the electromagnetic isotope separation research and a parallel program was conducted by theoretical physicist G.D. Alam at Air Research Laboratories (ARL) located at Chaklala PAF base, though G.D. Allam had not seen a centrifuge, but only had a rudimentary knowledge of the Manhattan Project. At first, the ERL suffered many setbacks, and relied heavily on the knowledge from URENCO brought by Qadeer Khan. Meanwhile, in April 1976, theorist GD Allam accomplished a great feat by successfully rotating the first generation centrifuges to ~30,000 RPM. When the news reached Qadeer Khan, he immediately requested to Bhutto for G.D. Alam's assistance which was granted by the PAEC, dispatching a team of scientists including GD Alam to ERL. At ERL, Khan joined the team of theoretical physicists headed by theorist G.D. Alam, working on the physics problems involving the differential equations in the centripetal forces and angular momentum calculations in the ultra-centrifuges. On 4 June 1978, the enrichment program became fully functional after G.D. Alam succeeded in separated the 235U and 238U isotopes in an important experiment in which A.Q Khan also took part. Contrary to his expectation, the military approved to the appointment of Major-General Zahid Ali as the scientific director of entire uranium division. In 1981, when General Akbar was posted back to combat assignments, Khan took over the operations of ERL as its interim director and senior scientist. In 1983, his appointment as director of ERL was personally approved by President Zia-ul-Haq who renamed the ERL after him. Despite his role, Khan was never in charge of the actual development of atomic bombs, mathematical and physics calculations, and eventual weapons testing. Outgoing General Zahid Ali recommended Munir Ahmad appointment as the scientific director of atomic bomb project. This appointment came as a shock to Khan and surprised many in the government and the military as Munir Ahmad was not known to be aligned to conservative military. The government itself restricted to provide full scientific data of atomic projects and had him required the government security clearance and clarifications of his visits of such secret weapons development sites, which he would be visiting with senior active duty officers. In 1984, the KRL claimed to have carried out its own cold test of a nuclear weapon, which was unsuccessful while PAEC under Munir Khan had already carried out another test in 1983, codenamed: Kirana-I. PAEC's senior scientists who worked with him and under him remember him as "an egomaniacal lightweight" given to exaggerating his scientific achievements in centrifuges. At one point, Munir Khan said that, "most of the scientists who work on the development of atomic bomb projects were extremely "serious". They were sobered by the weight of what they don't know; Abdul Qadeer Khan is a showman." During the timeline of atomic bomb project, Qadeer Khan pushed his research into rigorous Theoretical Physics calculations and topics to compete, but yet failed to impress his fellow theorists at PAEC, generally at the physics community. In later years, Abdul Qadeer Khan became a staunch critic of Munir Ahmad Khan's research in physics, and on many different occasions tried unsuccessfully to belittle Munir Khan's role in the atomic bomb projects. Their scientific rivalry became public and widely popular in the physics community and seminars held in the country over the years. Many of his theorists were unsure that gaseous uranium would be feasible on time without the centrifuges, since Alam had notified to PAEC that the "blueprints were incomplete" and "lacked the scientific information needed even for the basic gas-centrifuges." However, calculations by Tasneem Shah, and confirmation by Alam showed the possibility of improvise transformation of different centrifugal methods. Against popular perception, the URENCO's blueprints were based on civilian reactor technology; the blueprints were filled with serious technical errors. Its SWU rate was extremely low that it would have to be rotated for thousands RPMs on the cost of taxpayer's millions of dollars, Allam maintained. Calculations and innovation came from the team of his fellow theorists, including mathematician Tasnim Shah, and headed by theorist G.D. Alam, who solved the centrifugal problems and developed powerful versions of the centrifuges. Scientists have claimed that Qadeer Khan would have never gotten any closer to success without the assistance of Alam and others. The issue is controversial; Qadeer Khan maintained to his biographer that when it came to defending the "centrifuge approach and really putting work into it, both Shah and Alam refused. In 1998, India conducted the series of nuclear tests at the site located in Pokhran, Rajasthan. Political momentum in Pakistan began to build up on conservative Prime Minister Nawaz Sharif by the influential political circle to authorize the nuclear testing program. Together with PAEC, Khan repeatedly lobbied in seeking the permission in favor of the tests. At the NSC meetings with Prime Minister Nawaz Sharif, Khan even maintained that the tests could be performed at the controlled test site in Kahuta. But this was rebuffed by the military and Prime Minister Sharif ordered Ishfaq Ahmad of PAEC to perform the tests in Chagai due to their long experience of performing the tests in the past. When the news reached him, a furious Qadeer Khan was badly upset and frustrated with the Prime minister's decision. Without wasting a minute, Khan drove to Joint Staff Headquarters where he met with the Chairman joint chiefs General Jehängir Karamat, lodging a strong protest. General Karamat thereupon called the Prime minister, and decided that KRL scientists, including Qadeer Khan, would also be involved in the test preparations and present at the time of testing alongside those of the PAEC. It was the KRL's HEU that ultimately claimed the successful detonation of Pakistan's first nuclear devices on 28 May 1998, under codename Chagai-I. Two days later, on 30 May, a small team of scientists belonging to PAEC, under the leadership of Samar Mubarakmand, detonated a plutonium nuclear device, codename Chagai-II. The sum of forces and yields produced by devices were around ~40.0kt of nuclear force, with the largest weapon producing around 35–36kn of force. In contrast, the single plutonium device had produced the yield of ~20.0kt of nuclear force and had a much bigger impact than uranium devices. Many of Qadeer Khan's colleagues were irritated that he seemed to enjoy taking full credit for something he had only a small part in, and in response, he authored an article, Torch-Bearers, which appeared in The News International, emphasising that he was not alone in the weapon's development. He made an attempt to work on the Teller design for the hydrogen bomb, but PAEC had objected the idea as it went against government policy. Known for taking full credit of something he had only small contribution, he often got engrossed in projects which were theoretically interesting but practically unfeasible. Proliferation network was established to acquire knowledge on electronics materials for centrifuge technology at the ERL by Khan, in the 1970s. This atomic network was subsequently used by Libya, North Korea, Iran and China as media reports first surfaced on trade negotiations between China and Pakistan for the sale of (UF6) gas and HEU. Allegations were made that "Khan paid visit to China to provide technical support to Chinese nuclear program when building a HEU plant in China's Hanzhong province. The Chinese government offered nuclear material from their side, but Pakistan refused, calling it a "gift of gesture" to China. According to an independent IISS report, Zia had given a "free hand" to Khan and given unlimited import and export access to him. The report showed that his acquisition activities were on the whole not supervised by Pakistan governmental authorities; his activities went undetected for several years. Pakistan's scientific activities rapidly attracted the attention of the outside world, which quickly suspected outside assistance. Suspicions soon fell on Khan's knowledge obtained during his years working in the Urenco Group. In 1983, Khan was sentenced in absentia to four years in prison by the local court in Amsterdam for attempted espionage. When the news reached to Pakistan, Barrister SM Zafar immediately travelled to Amsterdam and filed a petition at the Court. Zafar teamed up with Qadeer Khan's old mentor professor Martin Brabers and his Leuven University to prepare evidence for the case. At the trial, Zafar and Martin argued that the technical informations supplied by Khan were commonly found and taught in undergraduate and doctoral physics at the university. The sentence was overturned on appeal on a legal technicality by the Court. Reacting on the suspicion of espionage, Qadeer Khan stated: "I had requested for it as we had no library of our own at KRL, at that time". He strongly rejected any suggestion at Pakistan's proliferation attempts and stressed: "All the research work [at Kahuta] was the result of our innovation and struggle. We did not receive any technical "know-how" from abroad, but we cannot reject the use of books, magazines, and research papers in this connection." In a local interview given in 1987 he stated that: the U.S. had been well aware of the success of the atomic quest of Pakistan. Allegedly confirming the speculation of export of nuclear technology, the Pakistan Government sharply denied all claims made by Qadeer Khan. Following this, Khan was summoned for a quick meeting with President Zia-ul-Haq, who used a "tough tone" and strongly urged Khan to cease any information "he'd been providing in statements, promising severe repercussions if he continued to leak harmful information against the Pakistan Government." Subsequently, he made several contacts with foreign newspapers, denying any and all statements he had previously released. After U.S. terminating major aid to Pakistan, Benazir government reached an understanding with the United States to "freeze" and "capped" the program to LEU which is up to 3–5%. Later, the program was restored back to 90% HEU in 1990, and on July 1996, he maintained, "at no stage was the program of producing 90% weapons-grade enriched uranium ever stopped". Trade and diplomatic relations were established between Pakistan and North Korea since Prime Minister Zulfikar Bhutto's period in the 1970s. After Prime Minister Benazir Bhutto's state visit to North Korea in 1990, it was reported that the highly sensitive information was being exported to North Korea in exchange for missile technologies. On multiple occasions, Khan alleged that Benazir Bhutto had "issued clear directions" for that matter. In 1993, downloaded secret information on uranium enrichment was delivered to North Korea in exchange for information on developing ballistic missiles. In 1987, Iran wanted to purchase a fuel-cycle technology from Pakistan, but it was rebuffed. Zia decided that the civil nuclear co-operation with Iran was purely a "civil matter" and part of maintaining good relations with Tehran; Zia did not further approve any nuclear deals, but Khan passed over a sensitive report on centrifuges in 1987–89. It was only in 2003 that the nature of such agreements were made public when the Iranian government came under intense pressure from the Western world to fully disclose its nuclear program. Accepting the tough IAEA inspections, it revealed that Iran had established a large enrichment facility using centrifuge based on the Urenco, which had been obtained "from a foreign intermediary in 1989". The Iranians turned over the names of their suppliers and the international inspectors quickly identified the Iranian gas centrifuges as Pak-1's–the gas centrifuges invented by Khan during the atomic bomb project. In 2003, the IAEA successfully dismantled Libya's nuclear program after persuading Libya to roll back its program to have the economic sanctions lifted. The Libyan officials turned over the names of its suppliers which also included Khan. The same year, the Bush administration launched its investigation on Khan's leak in 2001 and 2002, focusing on Khan's personal role. Libyan government officials were quoted saying that Libya bought nuclear components from various black market dealers, including Pakistan. 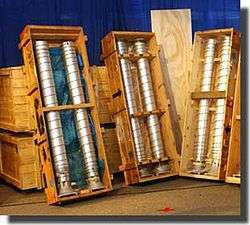 US officials who visited the Libyan plants reported that the centrifuges were very similar to the Pak-1 centrifuges in Iran. By the time evidence against Khan had surfaced, he was a public icon in the Pakistan and the government's Science Adviser. His vigorous advocacy for atom bombs and missiles became an embarrassment to the Pakistan government. On 31 January 2004, Khan was dismissed from his post, and the government launched a full-fledged investigation of the allegations surrounding him. The Wall Street Journal quoted unnamed "senior Pakistan government officials" as conceding that Khan's dismissal from KRL had been prompted by US suspicions. On 4 February 2004, Khan appeared on state-owned media Pakistan Television (PTV) and confessed to running a proliferation ring, and transferring technology to Iran between 1989 and 1991, and to North Korea and Libya between 1991 and 1997. Although Khan was not arrested, national security hearings were launched by the joint law officers from JAG Branch. The debriefings implicated the former chief of army staff general Mirza Beg. The Wall Street Journal quoted US government officials saying that Qadeer Khan had told the military lawyers that General Beg had authorized the transfers to Iran. According to IISS reports, for several years Khan had security clearances over import and export operations which were largely unsupervised and undetected. Khan's security has been tightened since the 1970s, and he never travelled alone; always accompanied by the secret agents of the Pakistani military establishment. On 5 February 2004, President Musharraf pardoned him as he feared that the issue would be politicised by his rivals. The Constitution allows the President of Pakistan to issue presidential pardons. The hearings of Khan badly damaged the political credibility of President Musharraf and the image of the United States. While, the Pakistan media aired sympathising documentaries, the political parties on the other hand used that issue politically to the fall of Musharraf. The US Embassy had pointed out that the successor of Musharraf could be less friendly towards the United States; this restrained the United States from applying further direct pressure on Musharraf due to a strategic calculation that may led the loss of Musharraf as an ally. Strong calls were made by many senior IAEA officials, U.S. and European Commission politicians, have Khan interrogated by IAEA investigators, given the lingering scepticism about the disclosures made by Pakistan regarding Khan's activities. All such requests were however strongly dismissed by the Prime minister Shaukat Aziz and the Pakistan government, terming it as "case closed". In December 2006, the WMDC headed by Hans Blix, a former IAEA chief and UNMOVIC chief; said in a report that Abdul Qadeer Khan could not have acted alone "without the awareness of the Pakistan Government". 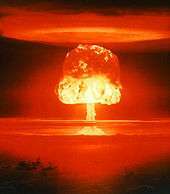 Blix's statement was also reciprocated by the United States government, with one anonymous American government intelligence official quoting to independent journalist and author Seymour Hersh: "Suppose if Edward Teller had suddenly decided to spread nuclear technology around the world. Could he really do that without the American government knowing?". In 2007, the hearings were suspended when Musharraf was succeeded by General Ashfaq Pervez Kiani as chief of army staff. Officially, all security hearings were terminated by the Chairman Joint Chiefs General Tarik Majid on November 2008; Khan was never officially charged with espionage activities nor any criminal charges were pressed against him. The military maintained that the debriefings were the process of questioning Khan to learn and dismantle the atomic ring. The details of debriefings were marked as "classified" and were quickly wrapped up quietly following the fall of General Pervez Musharraf. In 2008, in an interview, Khan laid the whole blame on Musharraf, and labelled Musharraf as a "Big Boss" for proliferation deals. In 2012, Khan later implicated Benazir Bhutto in proliferation matters, pointing out to the fact as she had issued "clear directions in thi[s] regard." Domestically it is believed by some that Khan was made a scapegoat by President Musharraf to prove his uttermost loyalty to the West whose support was urgently and desperately needed for the survival of his presidency. It was done so to protect the names of those high-ranking military officials and civilian politicians, under whom Musharraf served in the past. Controversial, Qadeer Khan was ostracised by much of the scientific community, but still quite welcome in military science circles. In 2001, Musharraf promoted Abdul Qadeer Khan to Science Adviser to the President. Abdul Qadeer Khan remains a popular figure and many saw him as national hero of Pakistan. He often served as Pakistan's extreme national pride, and his long association with science bought -Khan a tremendous popularity. In the late 1980s, Abdul Qadeer Khan promoted the funding of the Pakistan's integrated space weapons project and vigorously supported, and supervised the Hatf-I and Ghauri-I program. In a television speech in 2007, Prime minister Shaukat Aziz paid tribute to Abdul Qadeer Khan and while commenting on last part of his speech, Aziz stressed: "(...)....The services of (nuclear) scientist... Dr. (Abdul) Qadeer Khan are "unforgettable" for the country..(..)....". In 2012, Abdul Qadeer Khan announced to form a political party Movement to Protect Pakistan. Khan secured the fellowship and the presidency of Pakistan Academy of Sciences, whose membership is restricted to scientists. Through the Pakistan Academy of Sciences, Khan published two books on metallurgy and material science. Khan began to published his articles from KRL in the 1980s, and began to organise conferences on Metallurgy by inviting scientists from all over the world. Gopal S. Upadhyaya, an Indian nuclear scientist and metallurgist as well, attended Khan's conference in the 1980s and personally met him along with Kuldip Nayar. In Upadhyaya's words, Khan was a proud Pakistani who wanted to show the world that scientists from Pakistan are inferior to no one in the world. He contributed to the Ghulam Ishaq Khan Institute of Engineering Sciences and Technology when he served as the Project-Director of this university. After the construction of institute Khan took the Professorship of Physics while also serving as the Chairman of Department of Metallurgy and Materials Science. Later, Khan helped established the A. Q. Khan Institute of Biotechnology and Genetic Engineering at the Karachi University. [P]akistan's motivation for nuclear weapons arose from a need to prevent "nuclear blackmail" by India. Had Iraq and Libya been nuclear powers, they wouldn't have been destroyed in the way we have seen recently.... If (Pakistan) had an [atomic] capability before 1971, we [Pakistanis] would not have lost half of our country after a disgraceful defeat. Abdul Qadeer Khan faced heated and intense criticism from his fellow theorists whom he had worked with in the atomic bomb project, most notably theorist Pervez Hoodbhoy. In addition, Qadeer Khan's false claims that he was the "father" of the atomic bomb project since its inception and his personal attacks on Munir Khan caused even greater animosity by his fellow theorists, and most particularly, within the general physics community towards Qadeer Khan. Due to public promotion by the Pakistan media, he remains one of the best known but also most controversial scientists in the country. On a widely popular show with Aamir Liaquat, Khan attacked the Ahmadiyya Muslim Community saying that his native Bhopal had never produced a "Qadiani." The word Qadiani is a derogatory word for Ahmadi Muslims creating further controversy. Many believe that scientist Abdus Salam who was a notable Pakistani Ahmadi Muslim scientist should be held as the father of the Pakistani Nuclear program instead of Khan. Aamir Liaquat has also generated controversy for having scholars on his television show who called for the death of Ahmadi Muslims. He has been depicted in the media as Pakistan's own Dr. Strangelove (commonly referred to Edward Teller) in Stanley Kubrick's 1964 satirical film of the same name. Dilation investigation of metallic phase transformation in 18% Ni maraging steels, Proceedings of the International Conf. on Martensitic Transformations (1986), The Japan Institute of Metals, pp. 560–565. The spread of Nuclear weapons among nations: Militarization or Development, pp. 417–430. (Ref. Nuclear War Nuclear Proliferation and their consequences "Proceedings of the 5th International Colloquium organised by the Group De Bellerive Geneva 27–29 June 1985, Edited by: Sadruddin Aga Khan, Published by Clarendon Press-Oxford 1986). Khan, Abdul Qadeer (1972). Advances in Physical Metallurgy (in English, German, and Dutch). Amsterdam, Netherlands: Elsevier Press. Khan, Abdul Qadeer (1983). Metallurgical Thermodynamics and Kinetics (in English, German, and Dutch). Islamabad, Pakistan: The Proceedings of the Pakistan Academy of Sciences. Khan, Abdul Qadeer; Hussain, Syed Shabbir; Kamran, Mujahid (1997). Dr. A.Q. Khan on science and education. Islamabad, Pakistan: Sang-e-Meel Publications. ISBN 978-969-35-0821-5. ↑ His name can be spelled in various ways; the Pakistan Academy of Sciences (PAS) and the Islamic Academy of Science spell his name Abdul Qaudeer Khan. Other educational organisations might spell his name Abdul Qadir Khan or Abdul Kadeer Khan. Alternative spellings for his name are Gaudeer or Gadeer. Khan's birth certificate reads "Abdul Qadeer Khan". ↑ "The Wrath of Khan". The Atlantic. 4 February 2004. Retrieved 26 September 2010. 1 2 (IISS), International Institute for Strategic Studies (2006). "Bhutto was father of Pakistan's Atom Bomb Program". International Institute for Strategic Studies. Archived from the original on 14 March 2012. Retrieved 2 October 2016. ↑ "A.Q. Khan & Iran". Global Security. Retrieved 24 November 2014. ↑ NY Times Staff (April 16, 2006). "Chronology: A.Q. Khan". NY Times. Retrieved 24 November 2014. ↑ "Mush helped proliferate N-technology : AQ Khan". The Times of India. 6 July 2008. ↑ "IHC declares Dr A Q Khan a free citizen". GEO.tv. 6 February 2009. Retrieved 26 September 2010. ↑ Warrick, Joby Warrick (7 February 2009). "Nuclear Scientist A.Q. Khan Is Freed From House Arrest". The Washington Post. Retrieved 2 October 2016. 1 2 3 4 5 "Dr. Abdul Qadeer Khan". 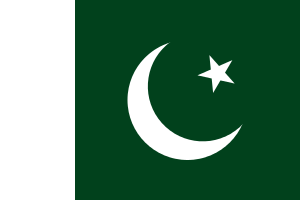 storyofpakistan.com/. Islamabad: Story of Pakistan Press Foundation. 17 October 2013. p. 1. Retrieved 22 January 2015. ↑ "Interview with Saleem Safi". ↑ "Dr. Abdul Qadeer Khan, Founder and Ex-Chairman Dr. A Q Khan Research Laboratories". Pakistanileaders. Archived from the original on 29 September 2010. Retrieved 26 September 2010. ↑ "Karachi University Physics Department alumni". Karachi University. Retrieved 22 January 2015. 1 2 3 "About Khan's education, achievements and research". Dr. A. Q. Khan. ↑ Bernstein, Jeremy (2014). "§Unintended Consequences". Nuclear Iran. United States: Harvard University Press. pp. 66–67. ISBN 067474456X. ↑ Khan, Abdul Qadeer (March 1972). The effect of morphology on the strength of copper-based martensites (Ph.D.). thesis prepared under the supervision of Professor Martin J. Brabers. Leuven, Belgium: Faculty of Applied Sciences, University of Leuven. 1 2 3 4 5 6 Shabbir, Usman (5 June 2003). "The Uranium Route to the Bomb". PakDef Military Consortium. Islamabad, Pakistan: Usman Shabbir, special report on Pakistan's atomic bomb program. Retrieved 20 January 2015. 1 2 3 4 5 "The Wrath of Khan – Magazine". The Atlantic. 4 February 2004. Retrieved 26 September 2010. 1 2 3 4 5 6 7 8 9 10 11 12 13 14 15 16 17 18 19 20 21 22 23 Shahid-ur-Rehman (1999). "The Gas centrifuge controversy"". Long road to Chagai. Islamabad: Shahid-ur-Rehman, 1999. ISBN 969-8500-00-6. 1 2 History Commons. "Profile: Abdul Qadeer Khan". History Commons. 1 2 3 4 5 6 7 8 Khan, Feroz Hassan (7 November 2012). "The clash of the Khans:Centrifuge Khan vs. Reactor Khan". Eating grass : the making of the atomic bomb. Stanford, California: Stanford University Press. p. 552. ISBN 978-0804776011. Viewed 7 January 2013. ↑ Nayar, Kuldip. "Do not give importance to Dr. A.Q. Khan". Kuldip Nayar (only available in Urdu). Kuldip Nayardubious. 1 2 "Interview with Sultan Bashir Mahmood". Scientists of Pakistan. Season 1. Episode Edward Nasim. 23 July 2009. 0:30 minutes in. Nawai-e-Waqt Media Network (NWMT). Captail Studios. ↑ "Zulfikar Ali Bhutto". Historycommons.org. Retrieved 26 September 2010. 1 2 3 Khan, A. Qadeer (29 July 2009). "Bhutto, Zia-ul-Haq And Kahuta". A.Q. Khan. draqkhan.com. 1 2 3 John Pike. "A.Q. Khan". Globalsecurity.org. Retrieved 26 September 2010. 1 2 3 4 5 6 7 8 9 10 11 Sublette, Carey; et al. (2 January 2002). "Dr. Abdul Qadeer Khan". Nuclear Weapon Archives, Reuters and Los Angeles Times news reports were used in preparing this article. Nuclear weapon archives. p. 1. Retrieved 18 October 2012. 1 2 3 4 5 Azam, Rai Muhammad Saleh (20 Jun 1998). "Where Mountains Move: The Story of Chagai". Special editorial work prepared and published by Rai Muhammad Saleh Azam in 1998. Islamabad: The Nation, 1999. The Nation. Retrieved 20 January 2015. 1 2 Hoodbhoy, Pervez (2001). "Chagai-II: The Plutonium Bomb". 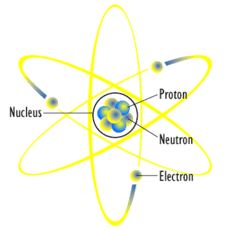 Federation of American Scientists and Pakistan Atomic Scientists Foundation. Federation of American Scientists. Retrieved 2 October 2016. ↑ "Interview of Dr. Samar Mubarak-Head of Pakistan Missile program". Hamid Mir. ↑ Armstrong, David; Joseph John Trento; National Security News Service (2007). America and the Islamic Bomb: The Deadly Compromise. Steerforth Press. p. 165. ISBN 9781586421373. ↑ "Eye To Eye: An Islamic Bomb". CBS News. ↑ "On the trail of the black market bombs". BBC News. 12 February 2004. 1 2 3 Kan, Shirley A. (2009). "§A.Q. Khan's nuclear network". China and Proliferation of Weapons of Mass Destruction and Missiles: Policy issues. Washington, DC: Congressional Research Service (CRS): Congressional Research Service (CRS). pp. 5–6. 1 2 3 4 5 IISS reports. A.Q. Khan and onward proliferation from Pakistan. Copyright 2006–2012 The International Institute For Strategic Studies (IISS). Viewed 24 October 2012. 1 2 3 4 Pike, John (16 May 2000). "Engineering Research Laboratories (ERL)". The Federation of American Scientists (John Pike). John Pike of Federation of American Scientists. Retrieved 24 October 2012. 1 2 3 4 5 6 7 8 9 10 11 12 13 14 15 16 17 Fitzpatrick, Mark (2007). "§Dr. A. Q. Khan and the rise and fall of proliferation network". Nuclear black markets. London, United Kingdom: International Institute for Strategic Studies (IISS). ISBN 978-0-86079-201-7. ↑ David Rohde; David Sanger (2 February 2004). "Key Pakistani is Said to Admit Atom Transfers". The New York Times. p. A1. ↑ AQ Khan. "I seek your pardon". ↑ John Lancaster; Kamran Khan (3 February 2004). "Musharraf Named in Nuclear Probe: Senior Pakistani Army Officers Were Aware of Technology Transfers, Scientist Says". The Washington Post. 1 2 Bill Powell and Tim McGirk, "The Man Who Sold the Bomb; How Pakistan's A.Q. Khan outwitted Western intelligence to build a global nuclear-smuggling ring that made the world a more dangerous place", Time Magazine, 14 February 2005, p. 22. 1 2 3 Hersh, Seymour (1 March 2004). "is Washington going easy on Pakistan's nuclear black marketers?" (google docs). Work by Seymour Hersh, with the assistance from the US government. The New Yorker. Retrieved 9 December 2012. 1 2 3 4 5 Bernstein, Jeremy (28 May 2009). "He Changed History". The New York Review of Books. Retrieved 2 October 2016. ↑ "The past and the present (12-Nov-2008)". A. Q. Khan. Retrieved 26 September 2010. ↑ Gishkor, Zahid (27 August 2012). "AQ Khan set to launch own political party". The Tribune Express. Retrieved 18 October 2012. 1 2 3 4 5 6 7 8 9 10 Pask. "Abdul Qadeer Khan". Press Directorate Office of the Pakistan Academy of Sciences. Pakistan Academy of Sciences. Retrieved 18 October 2012. 1 2 3 4 Upadhyaya, Gopal S. (2011). "§Dr. A.Q. Khan of Pakistan". Men of Metals and Materials: My Memoires. Bloomington, Indiana, United States: iUniverse.com. pp. 138–140. 1 2 "Frontiers in Physics" (PDF). 13 December 1988. Proceedings of the Second National Symposium on Frontiners in Physics. Retrieved 16 January 2012. ↑ GEO TV (17 May 2011). "Nuclear capability saved Pakistan". Geo Television Network (GTN). GEO News (GNews). Retrieved 8 December 2011. ↑ Khan, Abdul Qadeer. "I saved my country from nuclear blackmail'". Newsweek; The Tribune; The NTI; various others. Retrieved 3 December 2011. 1 2 Hoodbhoy, Pervez (4 May 1999). "Bombs, Missiles and Pakistani Science: The Chaghi tests, and more recent Ghauri-II and Shaheen-I missile launches, have been deemed heroic symbols of high scientific achievement... Are they?". Chowk.com. Archived from the original on 3 January 2011. Retrieved 2 October 2016. ↑ Harrison, Selig S. (31 January 2008). "Pakistan's Dr. Strangelove". The New York TImes. Retrieved 2 February 2013. ↑ Khan, Abdul Qadeer (1998). "Islamic Academy of Sciences Fellowship members". Islamic Academy of Sciences. ↑ Murtaza, Ghulam; Zhahour Ahmad (19–21 November 1998). "Condense Matter Physics" (PDF). Seven National Symposium on Frontiers in Physics. 7. 7 (7): 2/3. Retrieved 16 January 2012. Khan, Abdul Qadeer (2010). "§Sehar Honay Tak: Dr. A.Q. Khan gave us the sense of security, Javed Hashmi.". In Khan, Abdul Qadeer. Sehar Honay Tak. Islamabad, Pakistan: Ali Masud books publication. pp. 1–158. Upadhyaya, Gopal S. (2011). "§Dr. A.Q. Khan of Pakistan". Men of Metals and Materials: My Memoires. Bloomington, Indiana, United States: iUniverse.com. pp. 138–140. Rahman, Shahid (1998). "§Dr. A. Q. Khan: Nothing Succeed like Success". In Rahman, Shahid. Long Road to Chagai. Islamabad, Pakistan: Printwise publication. pp. 49–60. ISBN 969-8500-00-6. Fitzpatrick, Mark (2007). "§Dr. A. Q. Khan and the rise and fall of proliferation network". Nuclear black markets. London, United Kingdom: International Institute for Strategic Studies. ISBN 978-0-86079-201-7. Kan, Shirley A. (2009). "§A.Q. Khan's nuclear network". China and Proliferation of Weapons of Mass Destruction and Missiles: Policy issues. Washington, DC: Congressional Research Service (CRS). pp. 5–6. (BIIP), Bureau of International Information Programs (2005). "§A.Q. Khan and the nuclear market". In Cooney, Thomas E.; Denny, David Anthony. E=mc²: Today's Nuclear Equation. Washington, DC: United States: Judith S. Seagal. pp. 1–40 [30–33]. Bernstein, Jeremy (2008). Physicists on Wall Street and other essays on science and society. New York: Springer. ISBN 0387765069. "The Wrath of Khan". The Atlantic Monthly. November 2005. "Kahuta Research Laboratories", Federation of American Scientists. "Unraveling the A. Q. Khan and Future Proliferation Networks". The Washington Quarterly. Spring 2005. "Tracking the technology". Nuclear Engineering International. "Pakistan's Nuclear Father, Master Spy". MSNBC. Scott-Clark, Adrian Levy & Catherine (2007). Deception : Pakistan, the United States, and the secret trade in nuclear weapons (1st US ed.). New York: Walker & Co. ISBN 978-0-8027-1554-8. Upadhyaya, Gopal S. (2011-05-01). "Dr. A.Q. Khan of Pakistan". Men of metals and materials : my memoirs. Bloomington, IN: iUniverse. p. 138. ISBN 978-1-4620-1840-6. Retrieved 18 October 2012.